The Melbourne Rebels (also known as the RaboDirect Melbourne Rebels for sponsorship reasons) are a professional rugby union team based in Melbourne. They made their debut in SANZAR's Super Rugby tournament in 2011. They are the first privately owned professional rugby union team in Australia. The club shares its name with a former Australian Rugby Championship team, but is unrelated. The era of professionalism in rugby union led to a restructuring of the Super 10 competition after the 1995 World Cup. SANZAR was formed to manage a 12-team provincial union from Australia, New Zealand and South Africa. During the early years of 2000s South Africa and Australia pushed for additional teams each. Argentina also expressed interest. Discussions also included federated pacific island team in the vein of the West Indies cricket team, or individual island nations. Bids for the 13th and 14th franchise opened in 2002. Melbourne had, to that point, successfully hosted several Wallaby test matches which the Victorian Rugby Union used to demonstrate a ground swell of support for rugby union by the Victorian public. Melbourne also hosted several World Cup matches hosted at Docklands Stadium and drew 50,000 to the final day of the 2006 Melbourne Commonwealth Games Rugby 7s. In 2006 the Australian Rugby Union, following the suggestions of a working party, announced the formation of a national domestic competition. The Melbourne Rebels were established for the inaugural season of the Australian Rugby Championship by virtue of NSW surrendering a fourth team in favour of Victoria. Coached by Bill Millard and captained by David Croft, the Rebels finished fourth (out of 8) and were runners up. The move was viewed as an interim step to a Super 14 franchise. With SANZAR announcing a restructure while renegotiating broadcast rights, an additional licence was created. Ten bids were received: seven from Australia, two from New Zealand (Hawkes Bay and Taranaki) and the Southern Kings from South Africa. The Australian expressions of interest included three from Victoria, one from Western Sydney, one from the Gold Coast, the New South Wales Country Rugby Union (backed by John Singleton) and a second Queensland team. Three expressions of interest came out of Victoria for new Super licence- the Vic Super 15 headed by Mark Ella and backed by Kevin Maloney along with three former VRU directors, a Belgravia Group bid led by Geoff Lord (on behalf of the Melbourne Victory) and the Melbourne Rebels bid from the Victorian Rugby Union with backing from media magnate Harold Mitchell with assistance from corporate consultants, including KPMG. 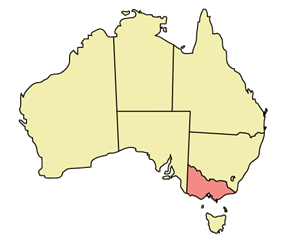 On 12 August 2009, the Australian Rugby Union endorsed Victoria as Australia's sole candidate state for the new licence in the Australian conference in the expanded 2011 Super Rugby competition. They attempted to broker a deal that would consolidate the three bids as a singular entity that they hoped would be "overwhelmingly successful". The Melbourne Rebels bid petitioned the ARU to submit only one of the three bids to SANZAR. The efforts to amalgamate these bids was fraught with politics. Investment banker John Wylie brokered a tentative agreement between the Melbourne Rebels and the Vic Super 15 that was announced at the 2009 Weary Dunlop Luncheon. On 12 November 2009, after an arbitration process between themselves and South Africa's Southern Kings, Victoria was awarded the 15th Super Rugby licence, as it was considered more financially viable to SANZAR. The bid was provisionally offered to the Vicsuper 15 consortium but when the ARU declined to offer a AUD4.3m grant commensurate with funding supplied to the other Australian franchise, the Mark Ella led consortium withdrew its bid. The licence was subsequently awarded to the Victorian Rugby Union's Melbourne Rebels. The ownership licence was handed to Harold Mitchell's consortium on 5 January 2010. The following day the ARU announced restrictions on the Rebels, gagging the franchise from announcing their signings from other Australian Super rugby team players until 1 June 2010. The Melbourne Rebels and the Rugby Union Players Association threatened legal action and successful had the embargo moved to 15 March. Rod Macqueen was appointed Head Coach, and Director of Coaching, 12 January. Macqueen is former coach or the winning World Cup Wallabies, and is a former Brumbies administrator. Damien Hill, three time Shute Shield Sydney University coach, became Macqueen's assistant. Former Western Force CEO Greg Harris was appointed general manager, Football Operations. Brian Waldron was initially appointed CEO, but resigned in April after being implicated in salary cap rorting while CEO of the Melbourne Storm. Auditor were called to examine Waldron's signings to ensure, as Wilson put it, "[Rebels] procedures are in accordance with the [ARU] protocols." Pat Wilson, a former CEO of the Manly Sea Eagles and NSW Waratahs, and former ARU general manager of high performance became interim CEO in April, until Ross Oakley was appointed in September. Oakley is a former AFL CEO and current CEO of the Victorian Rugby Union. Mitchell said he expected the Rebels to retain Wilson in some capacity. In September 2011 Oakley stood down from the Rebels and was succeeded by Steven Boland as CEO. The Rebels announced the succession plan, citing Boland's credentials as an executive at Visy and Veolia, and his presidency of the Parramatta Rugby Club during its rebuilding phase. On 15 April 2013, Harold Mitchell announced that CEO Steve Boland had resigned, citing other opportunities. 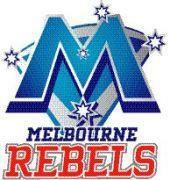 On 17 April, the Rebels announced the appointment of interim CEO Rob Clarke. Clarke, who had been CEO of the ACT Brumbies between 2003–05 and chief operating officer of the Australian Rugby Union 2006–07, will fill the role until season's end. Eddie Jones said the Rebels should not have been added to Super Rugby: "The reason they're in is because of TV rights. The current 14-team competition is just starting to find its feet [and the] addition of another Australian franchise is not good for Australian [or Super] rugby ..." Jones went on: "Another Australian side is just going to weaken the third and fourth teams. ... It's unrealistic for Australia to have five teams and it will be bad for Wallaby rugby in the short-term, for the next 10 to 15 years." Contrary to Jones, Wallabies coach Robbie Deans stated the side's vast experience was an asset and predicted the Rebels could be competitive from the outset. The first signing was London Wasps fly half Danny Cipriani initially slated to play at fullback, a position he's played on occasion for the Wasps. Prop Laurie Weeks signed 18 March. Welsh number 8 Gareth Delve signed 28 March saying, "The opportunity to test myself alongside the best players in world rugby in a competition I have grown up admiring, was one I couldn't refuse." Stirling Mortlock signed 31 March, in a three-year deal for an undisclosed sum. On June 27, 2013, the RaboDirect Rebels announced that foundation shareholders Harold Mitchell AC, Bob Dalziel, Lyndsey Cattermole, Alan Winney, Ralph D'Silva, Gary Gray, Paul Kirk, Leon L'Huillier, David Ogilvy and Michael Bartlett had signed a term sheet dealing with the 100% transfer of their shares to the Victorian Rugby Union. The decision was made to promote the growth of Rugby in Victoria, with both the community and professional arms working together on joint objectives. As part of the transfer of ownership, Melbourne Rebels Chairman Harold Mitchell AC passed on his legacy to new Chairman, Mr Jonathan Ling. The two organizations combined operations, with Rob Clarke becoming CEO for both organizations, and Ross Oakley OAM stepping away from his role as VRU CEO. The logo used by the original Melbourne Rebels team that competed in the Australian Rugby Championship. The Rebels name was chosen for the Melbourne ARC team in consultation with the local rugby community; VRU officials decided on the Rebels name in reference to Victoria's first Wallaby, Sir Edward "Weary" Dunlop. Chris "Buddha" Handy at the launch, said that "like the great Weary Dunlop, Victorian rugby has a history of daring to be different, a touch of the larrikin, and always having a go. These qualities are what you want in a Rebel and characterise the way Victoria is successfully tackling this historic year." The name was retained for the Super team. The Melbourne Rebels and the Victorian Rugby Union launched the Super Rugby logo and jersey at the Weary Dunlop lunch on 29 July 2010. The logo's five stars represent the Rebel creed: Respect (yourself and the opposition), Excellence (highest standards in everything we do), Balance (sport and life, determination and humility), Ethos (team first, 'we, not me'), Leadership (challenge the status quo). The Rebels colours are based off the state of Victoria's traditional colour of navy blue. Both the logo and kit heavily feature navy blue, while the iconic five stars that run vertically down the centre of both are white, also a traditional Victorian colour. Red has also been incorporated to give the Rebels their own uniqueness and to slightly differ them to other Victorian-based sporting clubs. The home kit is predominantly navy blue with navy blue shorts and socks, and also features red and white trimmings. The away kit is mainly white, but has navy blue hoops (similar to that of the Melbourne Rebels team which competed in the ARC), grey sleeves and a red trim. The kits are manufactured by BLK. The Rebels represent Victoria in the Super Rugby provincial tournament. The franchise area includes the 25 Victorian senior clubs of the Victorian Rugby Union, who view the Rebels as the final step for elite Victorian players to representative rugby. The 2010 state trials experienced a huge increase in participation, attributed to the establishment of the Rebels. In addition to representing Victoria and the Victorian Rugby Union sides, the Rebels sought to build player pathways for South Australian rugby players. They developed a Memorandum of Understanding with the South Australian Rugby Union in 2011, with Brighton Rugby Club lock Andrew Brown being selected to play in the Rebels reserve side against Sydney Rugby Union representative side. The Melbourne Rebels play their home games at AAMI Park in inner Melbourne's Sport and Entertainment Precinct. The stadium has a capacity of 30,050, but is decreased slightly to 29,500 seats for Super Rugby matches. The stadium officially opened 8 May 2010 after the Victorian government looked to build a specialised rectangular arena in Melbourne to accommodate the growing sports of football, rugby league and rugby union, and to also complement the circular MCG and Etihad Stadium. AAMI Park was designed by Cox Architects (Sydney), with input from Waratah and former Wallaby prop Al Baxter. Rebels training and administration will be based in Carlton North, in a specially upgraded facility at Princes Park stadium, which also hosts the Carlton Football Club. In April 2009, Neville Howard and Gavin Norman created an independent supporter group to grow awareness of the bid at a grassroots level. The Rebel Army networked via Facebook and Twitter; in early 2011 the Facebook page was 'liked' by 4500 fans and 600 Twitter followers. The Herald Sun's Russell Gould compared the Rebel Army with Melbourne Storm's banner crew. Gould interviewed Rebel Army founder Gavin Norman who said: "The Rebels and the Waratahs have been talking up the interstate rivalries ... We are trying to make it a bit more tribal." "There are two types of people who watch sport. Their worth to us as players are equal, but there are some subtle differences. There are supporters and then there are fans- the fanatics who are crazy about their sport and team. The Rebel Army are beyond both ... My team mates and I love the fact that The Rebel Army are bridging the gap and making it easier for the players to follow our supporters." Adam Freier also referenced the Army in his column on 'Rugby Heaven' (Fairfax) "The Rebel Army motto is "by the fans for the fans" ... Never have I been a prouder player as I walk past the clan at the games, and never have I felt so normal when I swing by and have a chat. They are very much part of the Rebels team." "I’ve given the Rebel Army numerous raps this season, all of them well deserved. I think what they’ve brought to Australian Rugby has been a breath of fresh air within an environment that has ferociously stuck to its tweed coat and chardonnay stereotypes." The Rebels played two pre-season games against Tonga, and one against Fiji, before facing the Crusaders (New Zealand), a fortnight before Round One. The Rebels won both games against Tonga, 43–13 at Olympic Park and 54–0 at La Trobe City Stadium in Morwell, playing two uncontracted amateur players from Victorian Rugby Union clubs; Chris Slade from the Melbourne Unicorns and Sam Latunipulu Jnr from the Southern Districts Pirates. Coach Macqueen said, after the contests with Tonga: "We were looking to try a few different things and a lot of them came off, so overall, we were happy with the performance; ... it's not about winning and losing, it's about trialling things under pressure. [We had pressure and] started to see a lot of the team structure, too, a lot of phases of play coming off. ... We are about to enter into one of the toughest competitions in world rugby. If we were playing like we are now, we wouldn't be successful ..."
The Rebels inaugural season kicked off on 18 February, with a Round One match against the Waratahs (NSW) at home, in front of over 24,000 people. The Rebels made four changes to the starting 15 to take on the Brumbies on 25 February, in front of over 14,000 people. Huxley moved to inside centre (number 12), allowing Mark Gerrard to make his debut at full back. Danny Cipriani and Nick Phipps also took their places in the run-on 15 for their first times. It was Cipriani who scored the first points for the Rebels, with a successful penalty kick in the 15th minute. Captain Stirling Mortlock scored the Rebels' first try with eight minutes to go, to put the team in front 22–19. Shortly after, Brumbies' winger Henry Speight scored a controversial try, off what appeared to be a clear forward pass, and the Brumbies were ahead 24–22. In the final minute of the game, the Brumbies gave away a penalty 37 metres out from the Rebels line, after some push and shove in a Brumbies scrum. Danny Cipriani slotted the penalty, handing Melbourne their debut Super Rugby win, 25 points to 24. The Rebels won their Round Six home-game against the Wellington Hurricanes, and their Round Seven clash against the Western Force. For Rounds 13 and 14 the Rebels travelled to South Africa for games against the Bulls and the Cheetahs. The Rebels lost 47–10 to the Bulls, yet Bulls coach Frans Ludeke expressed confidence that the Rebels could experience a rapid rise. Bold denotes player is internationally capped. 1 indicates Extended Playing Squad players that appeared during the season. 2 shows players who were signed to provide short-term injury cover. The Melbourne Rebels are the first privately owned professional rugby union team in Australia. During its inauguration, the club was run by a board chaired by majority owner, media and communications millionaire Harold Mitchell. Mitchell stepped down from the role in 2013 and was succeeded by businessman Jonathan Ling as the clubs Chairman. The deputy chairman is Fred Hollows Foundation director Bob Dalziel. The other directors are entrepreneur Lyndsey Cattermole, former VRU president Gary Gray, current VRU president Tim North, SC, Aegis Media companies director Rod Lamplugh, Pacific National Rail director Angus McKay, and former Wallaby and the first ever Melbourne Rebels captain, Stirling Mortlock. ^ "Melbourne Rectangular Stadium". Austadiums. Retrieved 12 August 2009. ^ "Tony McGahan appointed Melbourne Rebels coach". Australian. 8 July 2013. Retrieved 8 July 2013. ^ "Hugh Pyle player profile". Melbourne Rebels. Retrieved 23 April 2014. ^ a b c Schlink, Leo (5 October 2010). "Major Melbourne Rebels sponsorship in bank". Herald Sun. News. Retrieved 6 October 2010. ^ Rebels media unit (5 October 2010). "RaboDirect announced as Major Partner of the Melbourne Rebels" (Press release). Melbourne Rebels. Retrieved 6 October 2010. ^ "Victoria aims to cash in on Super 12s after cup bonanza". New Zealand Rugby. ^ "IRB Sevens World Series 2007/08 schedule announced". Hong Kong Sevens. ^ "Crunch time for Olympic Park". Austadiums. ^ "Rugby workshop agrees to a new eight team national competition". Australian Rugby Union. ^ "New national rugby comp for 2007". News. ^ "SANZAR broadcast deal nets rugby $472m". Australian. News. Australian Associated Press. 22 April 2010. Retrieved 8 August 2010. ^ "Super 15 bids from Hawkes Bay, Taranaki". Dominion Post. Wellington, New Zealand: Fairfax. NZPA. 23 July 2009. Retrieved 16 May 2010. ^ McKeeve, Tony (26 July 2009). "Super 15 bids: SA Rugby last to submit". Mail & Guardian. Retrieved 6 August 2010. ^ "Cockatoos join Super 15". RugbyVaria. Wimpie van der Berg. 9 July 2009. Retrieved 22 March 2010. ^ Lynch, Michael (22 July 2009). "Victory boss adds his voice to calls for Melbourne super team". Age. Faifax. Retrieved 9 May 2010. ^ a b Gould, Russell (5 August 2009). "Melbourne Rebels build case for Super 15 spot". Herald Sun. News. Retrieved 9 May 2010. ^ Gould, Russell (2 September 2009). "Melbourne Rebels feel frozen out of the super rugby process". Herald Sun. News. Retrieved 9 May 2010. ^ Smith, Wayne (29 September 2009). "Vics mauled in ARU power play". Australian. News. Retrieved 9 May 2010. ^ Warren, Adrian (30 September 2009). "ARU welcomes unity from Melbourne bid". Age. Fairfax. Retrieved 10 October 2010. ^ Silkstone, Dan (30 September 2009). "Rivals merge to revive super bid". Sydney Morning Herald. Fairfax. Retrieved 17 June 2010. ^ Growden, Greg (21 October 2009). "Melbourne for 15th Super licence". Age. Retrieved 6 August 2010. ^ "Kings lose out on Super 15". Sport 24. 24.com. 11 November 2009. Retrieved 24 January 2010. ^ Smith, Wayne (28 August 2009). "ARU spurns Victorian in Super 15 deal". Australian. News. Retrieved 16 May 2010. ^ a b Ella, Mark (20 March 2010). "Where are big names the Rebels promised". Australian. Retrieved 28 May 2012. ^ Paxinos, Stathi (21 October 2009). "Poised for Super rugby status, but do we care?". Age. Retrieved 20 May 2010. ^ "Melbourne Rebels history". Team. Melbourne Rebels. Retrieved 28 May 2012. ^ Paxinos, Stathi (13 March 2010). "Rebels with a cause". Age. Retrieved 28 May 2012. ^ Hand, Guy (13 January 2010). "Rod Macqueen named coach of Melbourne Rebels Super 15 franchise". Fox Sports. Retrieved 28 May 2012. ^ Beniuk, David (24 January 2010). "Hill heads to Europe for Rebels recruits". Sydney Morning Herald. Fairfax. Retrieved 16 May 2010. ^ Guinness, Rupert (24 April 2010). "Rebels keen to distance themselves from storm". Age. Melbourne. Retrieved 23 April 2010. ^ Orme, Steve (23 April 2010). "Waldon quits Rebels". Sportal. Retrieved 23 April 2010. ^ "Wilson named new Rebels Super15 CEO". Super 14. 23 April 2010. Retrieved 23 April 2010. ^ Schlink, Leo (9 September 2010). "Melbourne Rebels land former AFL boss Ross Oakley". Herald Sun. News. Retrieved 10 September 2010. ^ Rebels Media Unit (21 September 2011). "Oakley hands over the reins at the Rebels" (Press release). Melbourne Rebels. Retrieved 28 May 2012. ^ Rebels Media Unit (15 April 2013). "Mid season break heralds new signings at the Melbourne Rebels" (Press release). Melbourne Rebels. Retrieved 17 April 2013. ^ "Melbourne Rebels appoint interim CEO" (Press release). Melbourne Rebels. 17 April 2013. Retrieved 17 April 2013. ^ "Jones slams extra Aussie team". News24. 9 April 2010. Retrieved 10 April 2010. ^ Gould, Russell (30 June 2010). "Luke Rooney on Robbie Deans' Wallabies radar". Herald Sun (News). Retrieved 5 July 2010. ^ "Danny Cipriani to leave Wasps and join Melbourne Rebels". UK: BBC News. 19 February 2010. Retrieved 12 May 2010. ^ Smith, Wayne; Harris, Bret (26 February 2010). "Rebels chase Welsh recruit". Australian. News. Retrieved 15 May 2010. ^ "Rebels keen to get the most from Cipriani". Australia: ABC News. 20 February 2010. Retrieved 16 May 2010. ^ "Danny Cipriani". London Wasps. ^ Zavos, Spiro (24 February 2010). "The curious case of fullback Danny Cipriani". Roar. Retrieved 16 May 2010. ^ AAP (15 May 2010). "Melbourne Rebels sign Queensland Reds prop Laurie Weeks". The Sydney Morning Herald. Retrieved 18 March 2010. ^ "Gareth Delve Signs for Melbourne Rebels". Heavensgame. 28 March 2010. Retrieved 2 October 2010. ^ "Mortlock joins Melbourne Rebels for Super 15". Super XV. Retrieved 18 April 2010. ^ Gould, Russell (31 March 2010). "Mortlock to join Melbourne Rebels". Herald Sun. News. Retrieved 31 March 2010. ^ Rakic, Josh (18 April 2010). "Saffy jumps codes to Rebels – and he won't be the last". Age. Retrieved 16 May 2010. ^ "25-year-old Dragons forward Jarrod Saffy will switch to union in October". News. 18 April 2010. Retrieved 19 April 2010. ^ "Jarrod Saffy resigns with the dragons". The Sydney Morning Herald. 9 May 2008. Retrieved 18 April 2010. ^ "Two new faces in Ricoh Australian Sevens". Australian Rugby Union. 11 December 2003. Retrieved 16 May 2010. ^ Donaghy, Dave (29 March 2007). "Rebels show true colours". Herald Sun. News. Retrieved 15 May 2010. ^ "Melbourne Rebels on the rugby march". rugby.com.au. 29 March 2007. Retrieved 15 March 2013. ^ Gould, Russell (29 July 2010). "Melbourne Rebels reveal jumper". Herald Sun. News. Retrieved 5 August 2010. ^ "The Pursuit of Excellence". Melbourne Rebels. Retrieved 5 August 2010. ^ Jenkinson, Lance (8 December 2009). "Rebels give pathway to the top". Melton Express Telegraph. Melton, Australia. Retrieved 16 May 2010. ^ Philpot, Josh (2010). "Record attendance at state trials" (Press release). Victorian Rugby Union. Retrieved 22 March 2010. ^ Rebels Media Unit (10 March 2011). "Rebel Rising v Sydney Rugby" (Press release). Melbourne Rebels. Retrieved 11 December 2012. ^ "AAMI Park". Austadiums. Retrieved 16 May 2010. ^ Johnstone, Duncan (6 May 2010). "Baxter leaves mark on Melbourne stadium". Rugby Heaven. New Zealand: Fairfax. Retrieved 19 May 2010. ^ Minister for Sport & Recreation (29 July 2010). "Super $1.5 million boost for Melbourne's new Rebels" (Press release). Australia: State of Victoria. Retrieved 14 September 2010. ^ Rebels Media Unit (2 August 2010). "Rebels launch into the crowded Melbourne sporting landscape" (Press release). Australia: Melbourne Rebels. Retrieved 14 September 2010. ^ a b Gould, Russell (12 February 2011). "rmy preaches peace: Rebels fans insist club can coexist with code rival Storm". Herald Sun (AM) (News). p. 78. ^ Freier, Adam (17 January 2011). "Rebel Army: Supporters, fanatics, or something beyond that?". Melbourne Rebels. Retrieved 3 February 2012. ^ Freier, Adam (18 March 2011). "Fans the players can count on". Sydney Morning Herald. Fairfax. ^ "Rebel Army enters turf war". Wide World of Sports Website. Retrieved 30 January 2012. ^ McKay, Brett (14 June 2011). "Why the Rebel Army is Melbourne's gift to rugby". Roar. Roar Sports. Retrieved 3 February 2012. ^ McKay, Brett. "Why the Rebel Army is Melbourne's gift to rugby". Ten Sport. Ten Network. Retrieved 3 February 2012. ^ Rebels media unit (30 January 2011). "Rebels v Fiji" (Press release). Melbourne Rebels. Retrieved 31 January 2011. ^ Rebels media unit (28 September 2010). "Rebels vs Crusaders" (Press release). Melbourne Rebels. Retrieved 2 October 2010. ^ Wyatt, Ed (18 January 2011). "A night to remember". Melbourne Rebels. Retrieved 23 January 2011. ^ Rebels Media Unit (21 January 2011). "Rebels it make it two from two" (Press release). Melbourne Rebels. Retrieved 23 January 2011. ^ "Tickets still available for Rebels first match against Tonga". Melbourne Rebels. Retrieved 23 January 2011. ^ Roberton, Paul. "Rampaging Rebels shut out Tonga". SA Rugby. Retrieved 23 January 2011. ^ Gould, Russell (2011-01-22). "Melbourne Rebels crush hapless Tonga". Herald Sun. News. Retrieved 23 January 2011. ^ Brumbies Media Unit (26 February 2011). "Rebels pip Brumbies" (Press release). Brumbies. Retrieved 21 May 2013. ^ "Rebels beat Hurricanes in Melbourne". Super XV. 25 March 2011. Retrieved 26 March 2011. ^ Schlink, Leo (16 May 2011). "Bulls boss Frans Ludeke tips rapid rise for Melbourne Rebels". Herald Sun. Retrieved 17 May 2011. ^ "Rugby Union Tables 05/06". Planet Rugby. Retrieved 28 May 2012. ^ "Rebels Secure O'Connor and Inman, re-sign Robinson" (Press release). Melbourne Rebels. 18 June 2011. Retrieved 20 June 2010. ^ Rebels Media Unit (14 April 2011). "Beale to join Rebels" (Press release). Melbourne Rebels. Retrieved 26 April 2011. ^ "Rebels Announce Succession Plan" (Press release). Melbourne Rebels. 16 June 2011. Retrieved 20 June 2010. ^ "Rebels farewell experienced trio" (Press release). Melbourne Rebels. 17 June 2011. Retrieved 20 June 2011. ^ "Rebels to embark on UK and Ireland tour" (Press release). Melbourne Rebels. 22 June 2011. Retrieved 22 June 2011. ^ "Genia, Cooper 1–2 as Reds sweep awards". The Sydney Morning Herald. 23 June 2011. Retrieved 24 June 2011. ^ "Muggleton Joins Rebels" (Press release). Melbourne Rebels. 8 September 2011. Retrieved 13 September 2011. ^ "Team". Melbourne Rebels. Retrieved 29 October 2013. ^ Lahey, Kate (6 January 2010). "Mitchell and mates are Rebels bringing Super 15 here". Age. Melbourne. Retrieved 8 August 2010. ^ "Harold Mitchell AO". Mitchell Communication Group. 2006. Retrieved 9 May 2010. ^ "Our Founder". About Us. Harold Mitchell Foundation. 2010. Retrieved 8 August 2010. ^ Living large: the world of Harold Mitchell. Melbourne University Press. 2009. p. 294. ^ "United at the Weary". Victorian Rugby Union. VRU. Retrieved 8 August 2010. ^ Thomson, James (6 January 2010). "Wealthy entrepreneur Harold Mitchell emerges as owner of new Melbourne Rugby team". Smart Company. Retrieved 8 August 2010. ^ "Coaching Staff". Melbourne Rebels. ^ "Management". Melbourne Rebels. Retrieved 23 September 2010. Melbourne Rebels, Sale Sharks, England national rugby union team, London Wasps, Queens Park Rangers F.C.